After Miga got skunked, we asked you for advice on removing the scent (that’s too nice a word by far) and the overwhelming consensus was tomato juice. 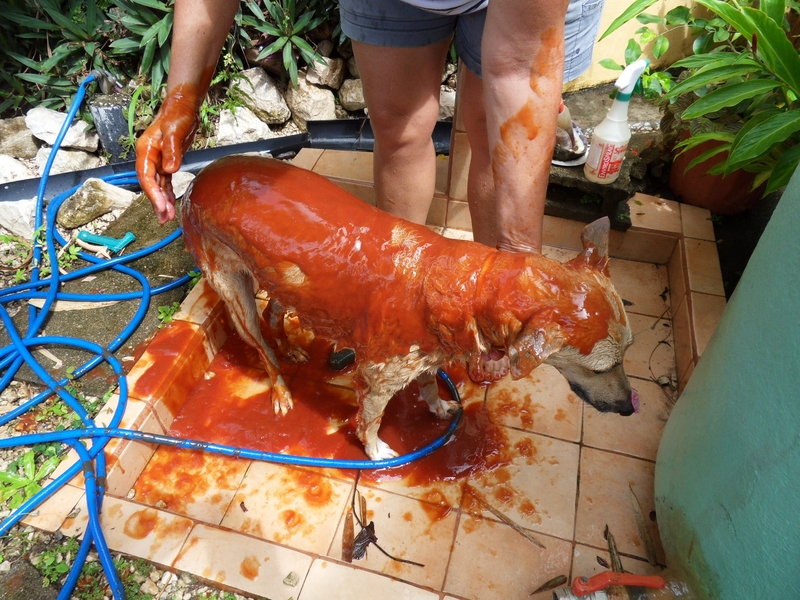 We found a gallon of ketchup that seemed to work quite well. She smells fresh although her porch is still a little musky.